"BREAKOUT KINGS” Season 1 is loaded with exclusive special features including deleted and extended scenes and several must see featurettes including Good Cons, Bad Cons, Bullpin Sessions, and spotlight on Prison Break cross-over character T:Bag Dealt a Bad Hand. 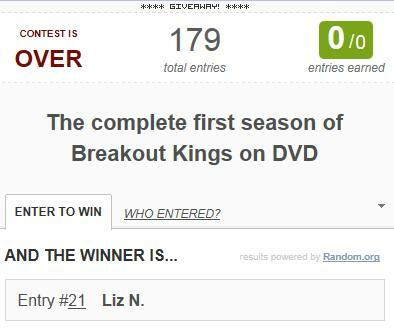 I want to thank everyone who entered my Breakout Kings Season 1 DVD Giveaway. I would also like to thank the giveaway sponsor for providing this great giveaway for my readers. Don't forget to stop by and enter my other giveaways! 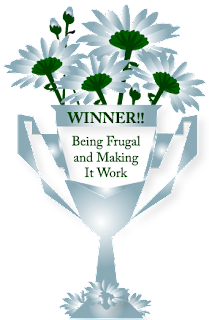 Check back and enter often, I'll be posting new and exciting giveaways on a regular basis! Remember... you can't win if you don't enter!